PROBLEM: High indoor concentration of welding fumes. Customer had a problem with emissions of hazardous welding fumes and metal dust during the manual and robotic Welding. Defense components were welded and then grinded to get rid of scales and burrs. Customer has 1 Fixed and 1 robotic welding post all of them without any ventilation solutions to capture the emissions from these processes. A high concentration of dust and fumes were constantly present in the premises. These bad working conditions affected the quality of the products and made a serious threat to the workers’ health conditions. 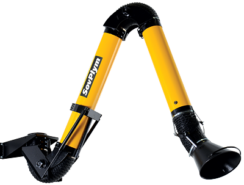 To solve the customer’s problem SovPlym offered a range of flexible and reliable solutions. 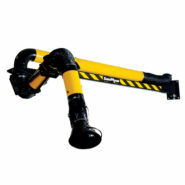 I order to save space in the premises, the mobile welding posts were equipped with wall-hanging filters with 2 flexible extraction arms (one wall mount & other on horizontal beam). For fumes extraction from stationary welding post SovPlym offered efficient mechanical filter, that allows to capture the smallest of the hazardous contaminants. To capture the dust generated by welding process, one the most reliable and proven solution was used – DCSC-W-2х160-00-P12 dust collector units. By installation of the filter units, dust collectors and extraction arms, SovPlym ensured “at source” capture of virtually all the emissions and reduced the concentration of hazardous dusts and fumes to safe levels. To provide effective extraction of welding fumes from non-stationary welding posts, the DCSC-W filter units with EF extraction arms were installed. Extended design of EF arm allowed to increase the service area. 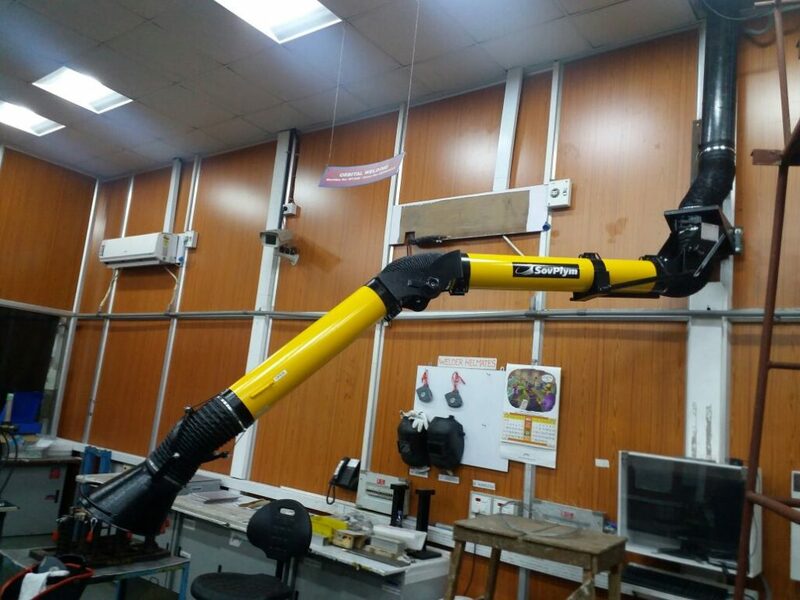 Stationary welding post was equipped with DCSC-W-2х160-00-P12 filter combined with BEA extraction arm. Installation of wall hanging filter units allowed to keep the workspace free and to fit the equipment into limited space. 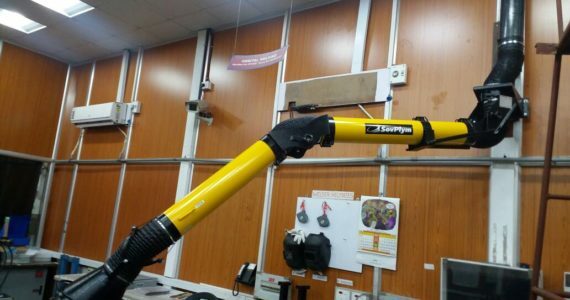 To capture the dust from welding process both arms were connected to the wall mount DCSC-W-2х160-00-P12 dust collector unit.